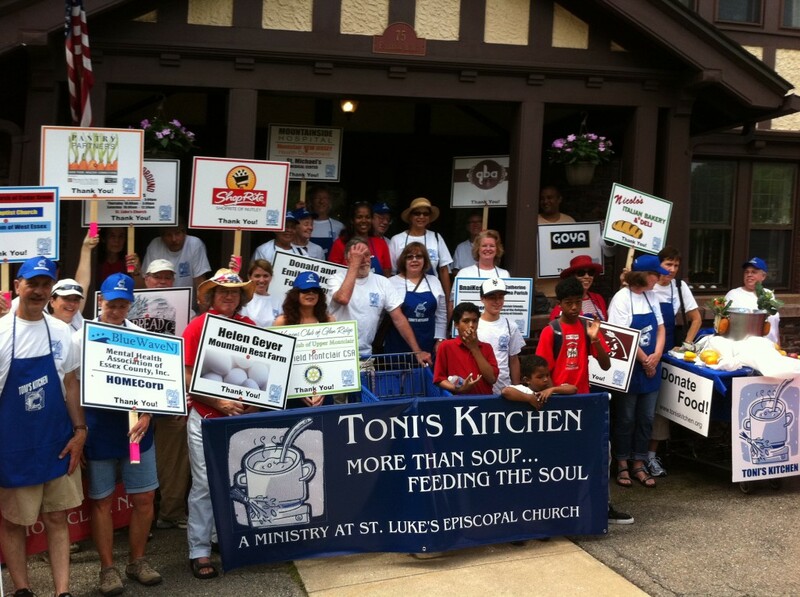 Join us for the Independence Day Parade as we march through the streets of Montclair raising getting the word out about Toni’s Kitchen and thanking some of the many business and individuals who support the Kitchen’s outreach effort. We are gathering in front of St. Luke’s at 10:15. Parade starts at 11:00. If you would like to participate in this year’s parade please contact Anne Mernin.